Made Of 22 Gauge C.P. Brass. Furnished Chrome Plated Die Cast Nuts and Washers. With 17 Gauge Tailpiece, Comes Complete with Solid White Stopper, 11 inch C.P. Beaded Chain, C.P. Chain Coupling, and Basin Gasket. 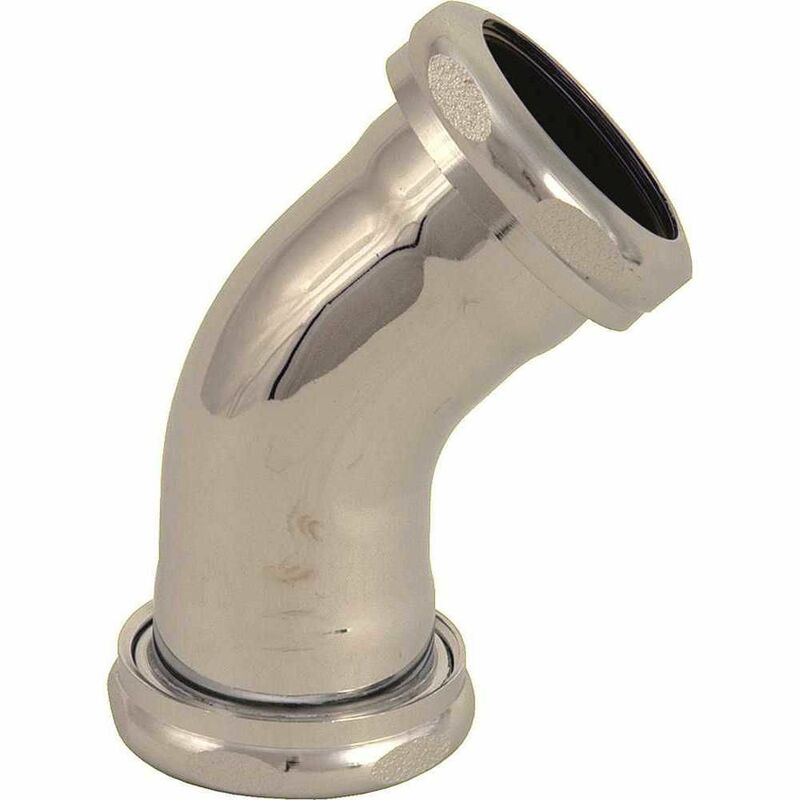 Slip Joint Coupling 45 Deg 1-1/4 inch 22 Ga Made Of 22 Gauge C.P. Brass. Furnished Chrome Plated Die Cast Nuts and Washers.